One cannot imagine an Italian cityscape without this little cheerful Fiat. Its ingenious design won a place in millions of hearts and garages. It became a trustworthy companion for many, offering wide applicability and its down-to-earth practicality. 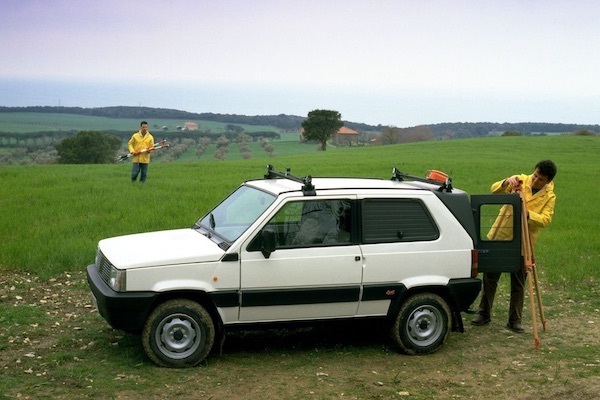 Even though this introduction would fit the iconic Fiat 500, this article is all about Fiat Panda. 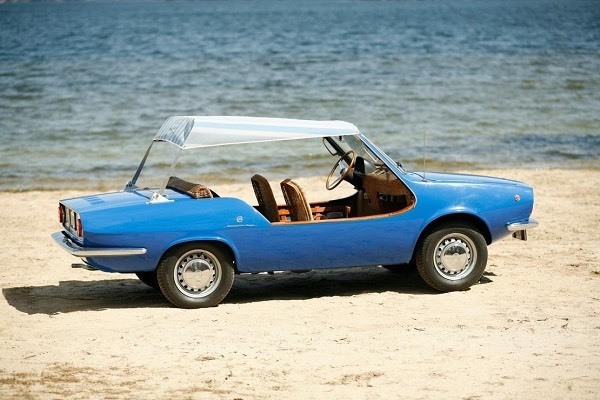 Historically, Fiat has long been a supplier of cars for the people, but the tides have shifted in the 1970s. 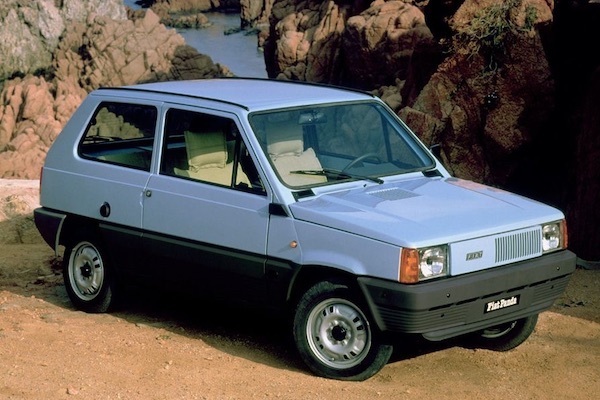 With the influx of reasonable commuter cars from France, the Italian public swayed towards the Citroën Dyane or Renault 4. 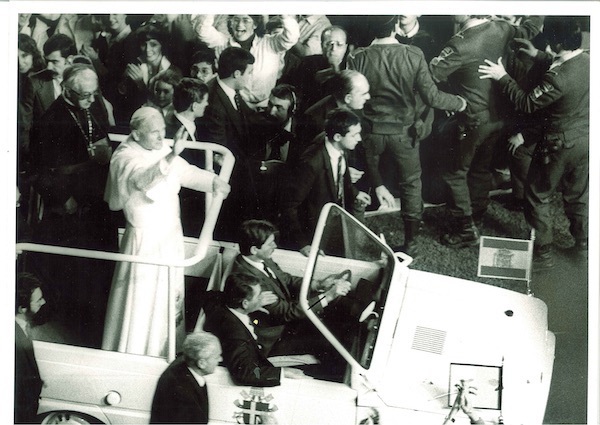 The French invaders were competitively priced, offering a seat for four for the price of Fiat 126 supermini. A truly enticing offering for the working class. 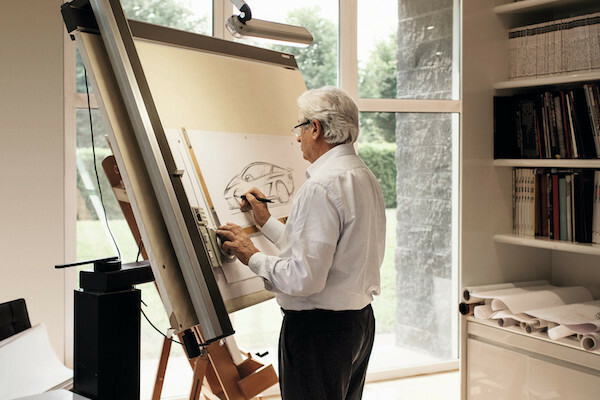 Fiat wanted to win back the lucrative segment from the French, thus turned to the ever-talented Giorgetto Giugiaro and his new Italdesign studio for help. And they truly delivered. Looking back at his career, the prolific Italian designer considered the Panda to be his best work. 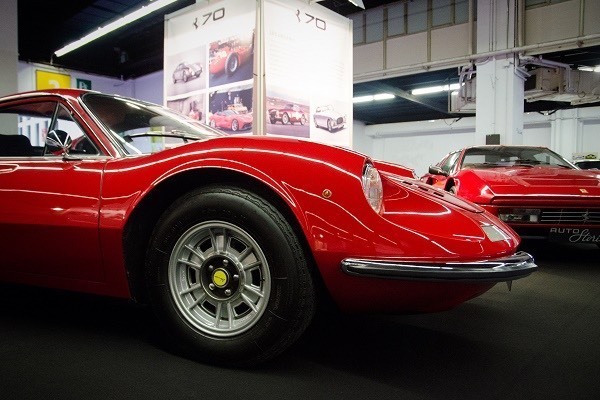 When talking about the process of creating this no-thrills commuter, he recalled "I tried to bring into this car the spirit of military machinery, especially helicopters, that means light, rational built-for-purpose vehicles". This design also landed him a prestigious Compasso d'Oro award for industrial design. 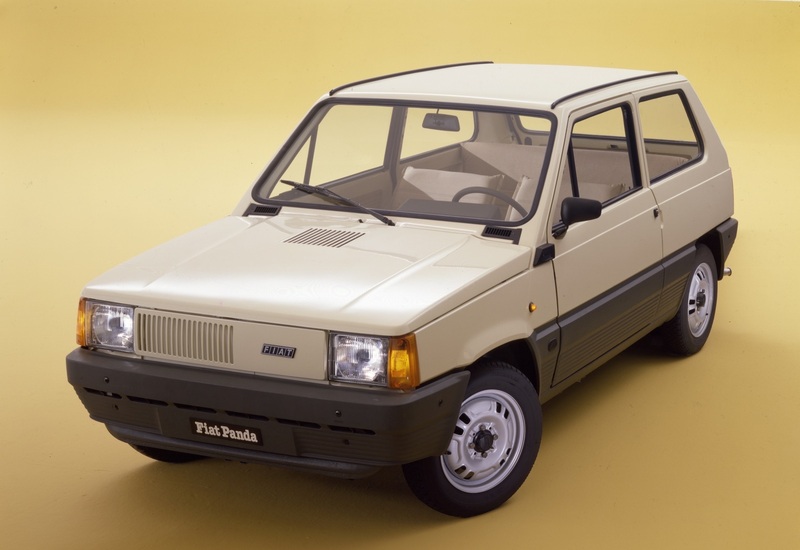 The boxy aesthetics of Panda were then transferred to other models in the Fiat line-up, like Uno. A lot of out-of-the-box thinking went into this boxy machine. To keep the production cost low, Italdesign proposed using only flat glass panels for all of the car’s windows and doing away with the regular handles and replacing them with small recesses. Underneath, Fiat made sure they can utilize other power plants from their range. 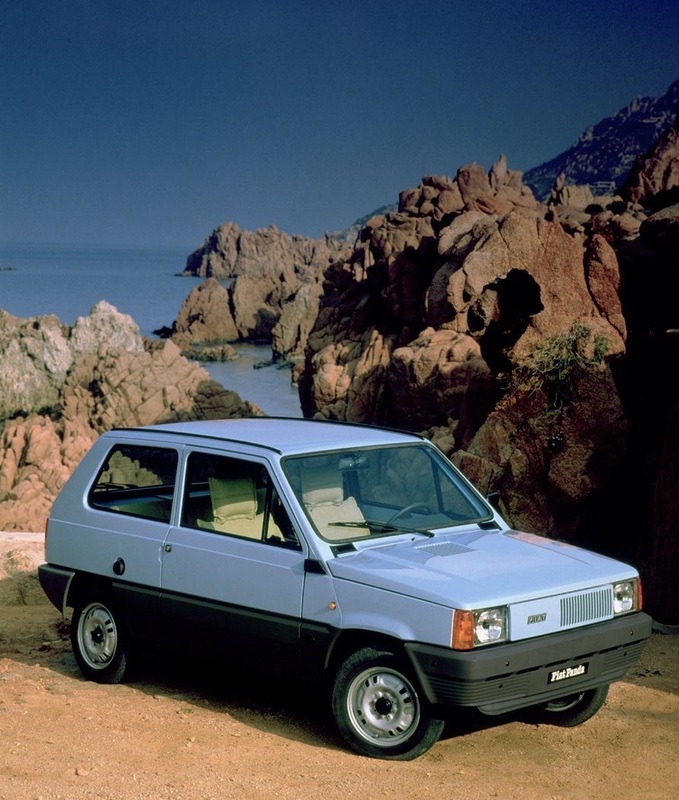 Panda 30 came with a longitudinally-mounted air-cooled 650cc two cylinder from Fiat 126, while Panda 45 had a distinctively different layout. Its transversely-fitted water-cooled 900cc engine derived from the bigger Fiat 127. 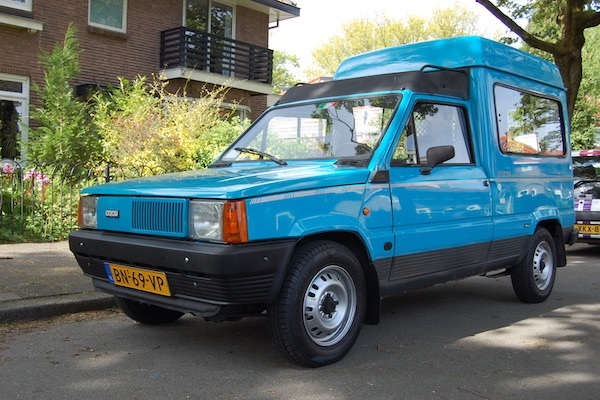 It’d later accommodate a host of other motors from various Fiat group models. 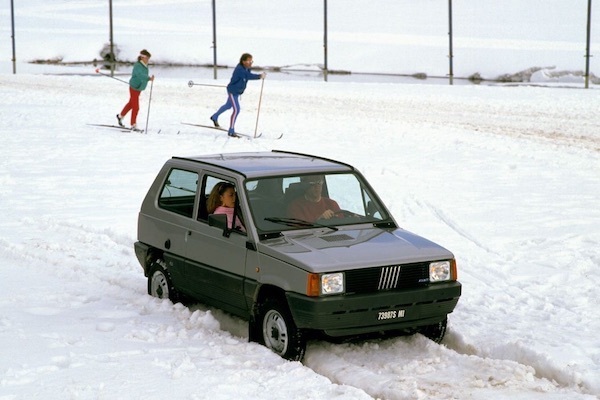 But Italdesign did much more than simply reduce Panda’s production costs. They implemented a number of solutions to utilize Panda’s tiny space the best way possible. 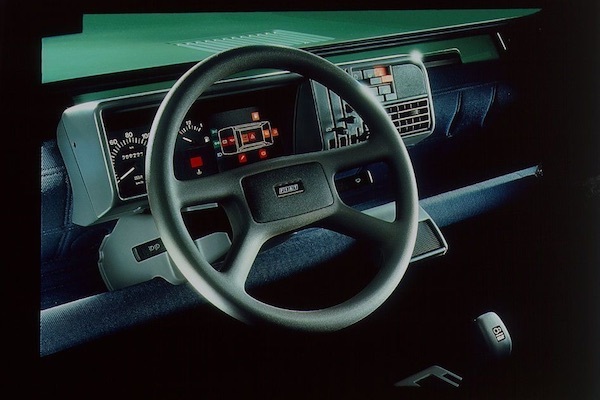 The whole bottom of the dashboard was dedicated to storage, and the seats were movable and foldable. They could even form a makeshift bed for two. 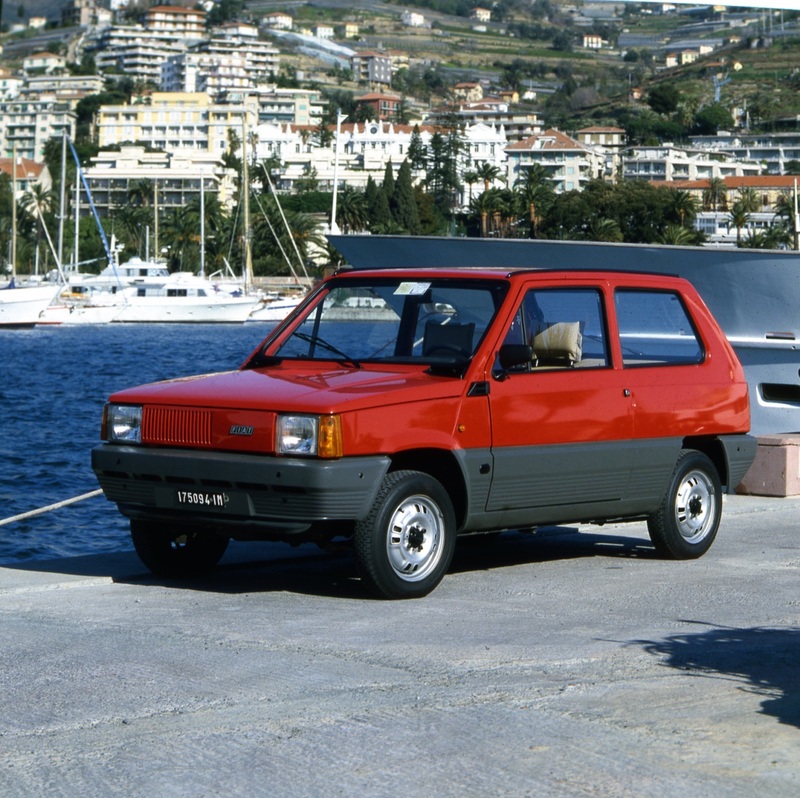 Perhaps italdesign were hoping that would contribute to Italian population growth and create new clients for Fiat. 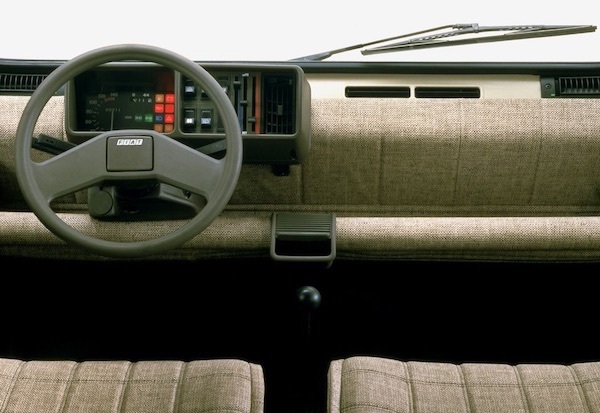 Should any spillage happen in the interior, seat fabrics were designed to be removable and machine washable. 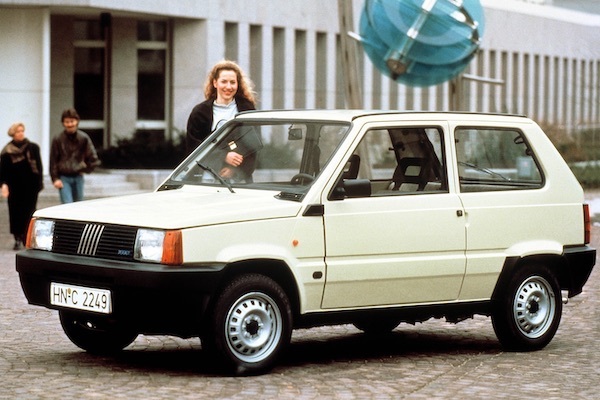 Panda was light-years ahead of their competitors, but due to intense currency devaluation, Fiat couldn’t match their pricing. 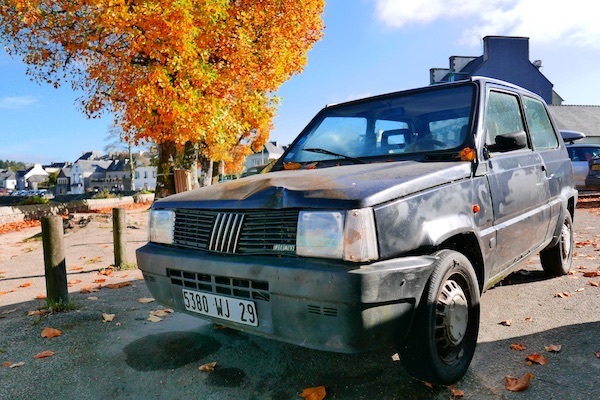 When Panda was introduced to the market in early 1980, its prices started at 3,970,000 lire, roughly 30% more than the French cars Panda was meant to compete with. 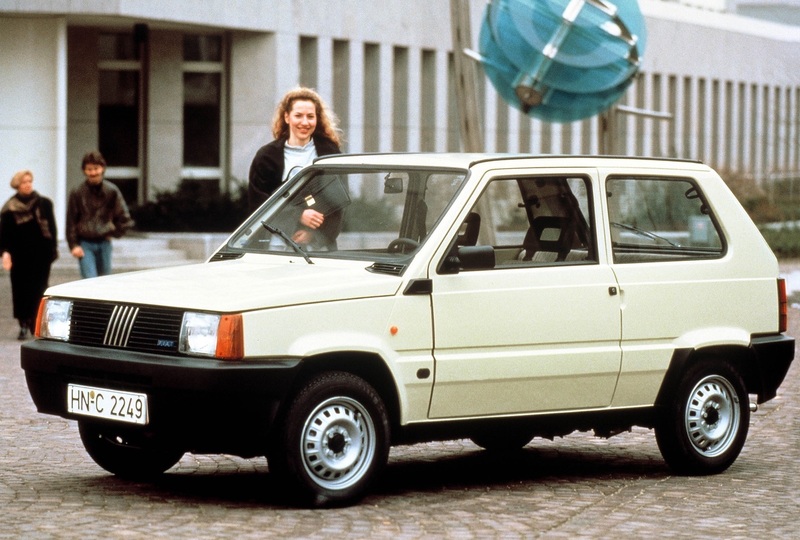 Still, Fiat has received 70,000 Panda orders within the first two months and the things were looking promising. Fiat aimed to satisfy the needs of every client. Even if the said client lived in the Alps or was running a gardening business. The latter favoured the Panda Van, which had more storage space, cleverly provided by a different trunk lid and removal of rear seats. 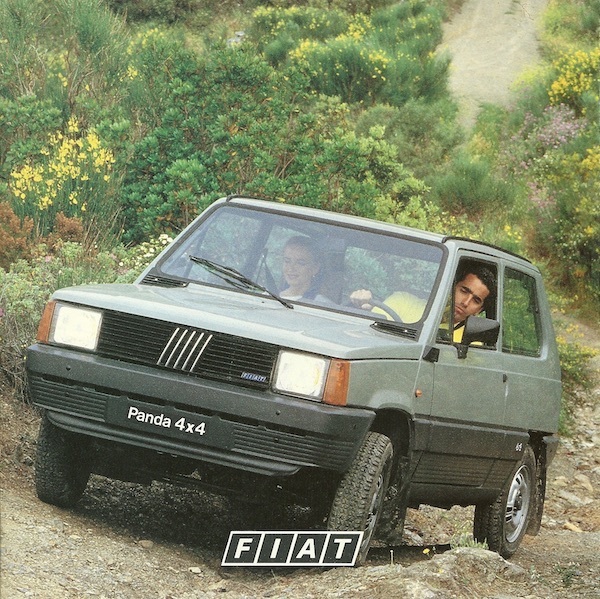 For those dealing with steep unpaved roads or shallow river crossings on their commute, Fiat introduced the Panda 4x4 in 1983. 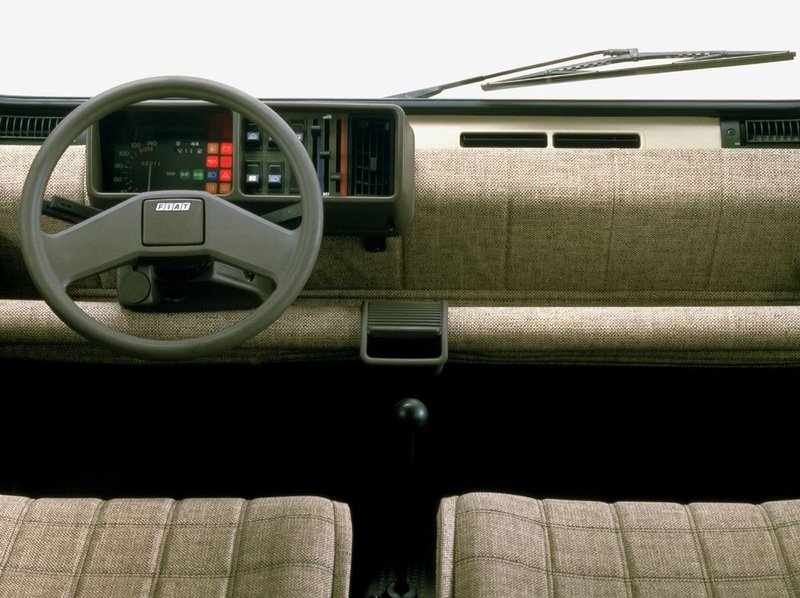 It was developed in joint with Steyr-Puch, the company behind the G-Class, and was the first of its kind. 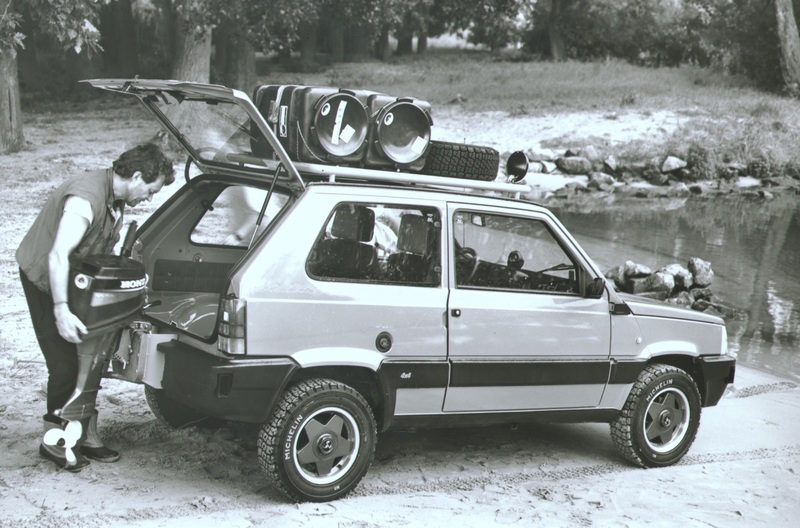 At the time, the thought of stuffing a hefty 4x4 system into a city mini seemed mad. But the Steyr-Puch system worked wonders and Panda 4x4 could overcome some seriously gnarly obstacles, making it irreplaceable in places further from paved roads. 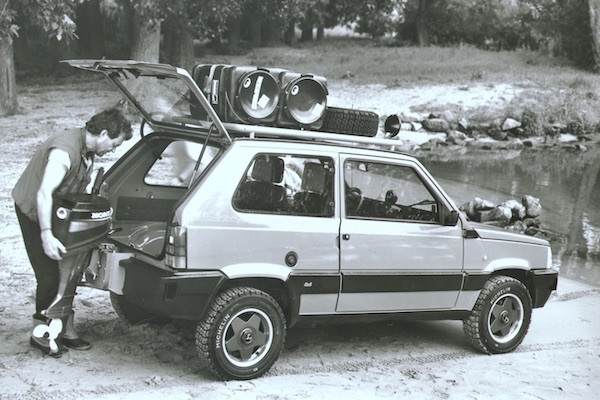 To this day, first gen 4x4 Pandas are a common sight in Alpine villages, and enthusiasts even race them through the Northern African deserts. 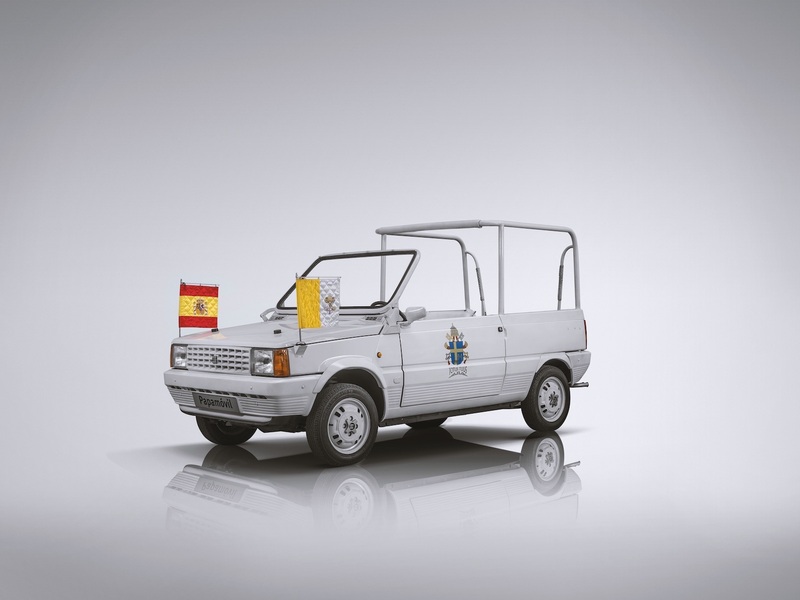 As you may well know, Fiat is a fan of licensing their cars to be built in other countries, and the little Panda was no exception. 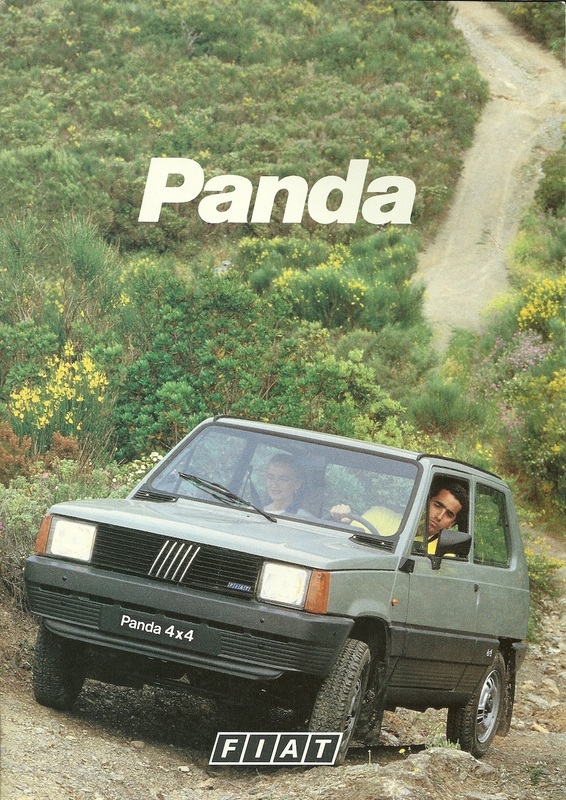 It moved to Spain and changed its name to SEAT Panda. There was also a cargo version of it, called SEAT Trans, much larger than Panda Van found in Italy. One Trans was even repurposed to drive the Pope John Paul II around during his visit to Spain in 1982. Unlike its namesake in the animal kingdom, Fiat Panda never became an endangered species. 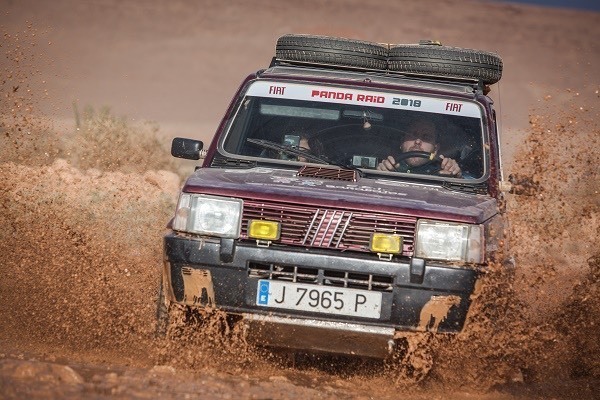 With a couple of facelifts and new engines, the first generation of Panda has been continuously produced until 2003. That is longer than the production run of the infamous 500, and with more than 4 million Pandas sold, it was more popular among the public too. 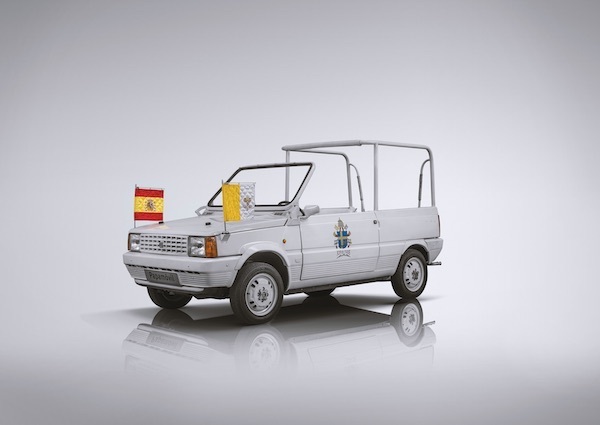 Transporting everything from goat cheese to the Pope, the Panda has left its mark in history by just simply being well-thought car.